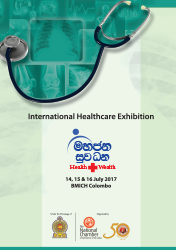 The National Chamber of Commerce of Sri Lanka has joined hands with the Ceylon College of Physicians with the concurrence of the Ministry of Health, Nutrition & Indigenous Medicine to hold the “Mahajana Suwadhana” International Healthcare Exhibition & Medical Symposium on 14, 15 & 16 July 2017 at the BMICH. The event is organized to commemorate the 50th Anniversary celebrations of the Ceylon College of Physicians. The Ceylon College of Physicians, the oldest professional body of consultant physicians in Sri Lanka, in its 50th year, is reaching out to the public. 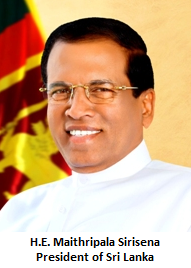 This monumental medical exhibition spanning over 3 days will depict the health care in Sri Lanka, highlighting the available diagnostic facilities, supportive care, future developments and provide health education to the public on common medical conditions.